Tideford Organics are ushering in 2019 by sponsoring Veganuary. We asked Lynette Sinclair, the MD about the journey that lead to this step and how a commitment to organic and vegan has been good for business. Lynette joined Tideford as Head of Sales and Marketing in 2008 with a remit to grow the customer base. She has always been a passionate advocate for organic. Her first Saturday job at the age of 14 was at Cranks in Totnes. So, joining Tideford was a perfect fit. It gave Lynette the opportunity to champion causes she was passionate about, use her background in marketing and advertising and move back down to Devon with her family. Tideford was established in 1996, with a pesto sauce that was discovered and stocked by Waitrose. It is one of the few Soil Association Accredited organic factories in the UK and has remained committed to producing organic food throughout the now infamous crash in 2009 where 5,000 organic lines disappeared overnight from supermarket shelves. It was a difficult time, with organic sales falling by -13% year on year in 2009. However, Tideford diversified, with new products and re-focussed on their key brand messages with strong new packaging design. They also targeted the hospitality industry where demand for organic was still strong. Since 2009 the organic sector returned to growth and year on year sales have increased. This is reflected in Tideford’s growth. The company has thrived, and Lynette became Managing Director in 2012. Creating seasonal soups, unusual in the ready meal / chilled category, demonstrates their commitment to the environment and connecting consumers with the land and seasons. Product lines have extended into pasta sauces, curry sauces, misos and pesto sauces, and their very popular vegan gravy. All their products are organic, vegan and gluten free. Millennials make the connection between what they eat and where their food comes from. The fastest growing market for organic is the under 35s, particularly the 19-24-year olds. These consumers have grown up with an awareness of environmental issues because they are taught in schools. The company works with local suppliers as much as possible and gives their short date stock to homeless associations within a 10-mile radius. They also work with one of the local primary schools, serving up soup on their vegan days and providing information on the impact meat free days can have on our environment and health. Recognising that young consumers are committed to ethical eating and shopping, going vegan was the natural next step for the company. The decision was made after much debate, not least as the company’s bestseller was their farmhouse chicken with lemon and thyme. In September 2016 the company became the first organic vegan and gluten free brand on the UK market. 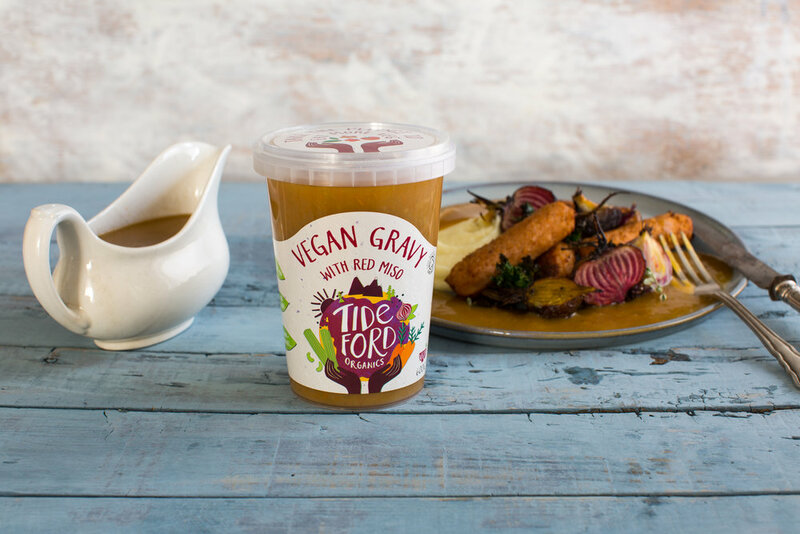 Going vegan has been good for business too, as since they made the commitment, Tideford has seen a 60% increase in sales. Tideford are delighted to be one of two exclusive sponsors for Veganuary, an ever-growing digital campaign with over 300,000 followers. It’s a great way to support a positive campaign, showing how easy it is to eat a vegan diet. At the same time promoting organic, connecting adopters with where their food comes from and how what they eat can have a positive impact on the environment. The campaign includes daily recipes, recipes, blog posts, and sampling opportunities with campaigns on radio and TV and London Underground, all driving people to the Veganuary website. With their focus on ingredients trends, expect to see exciting new flavours on the shelves from Tideford Organic. Lynette has a clear vision to make organic accessible to everyone and is focusing on distribution and increasing availability of the brand. The company has product lines in Sainsbury’s, Tesco, Co-operative, Morrisons, Waitrose, Ocado, Abel & Cole, Wholefoods and independents nationwide. 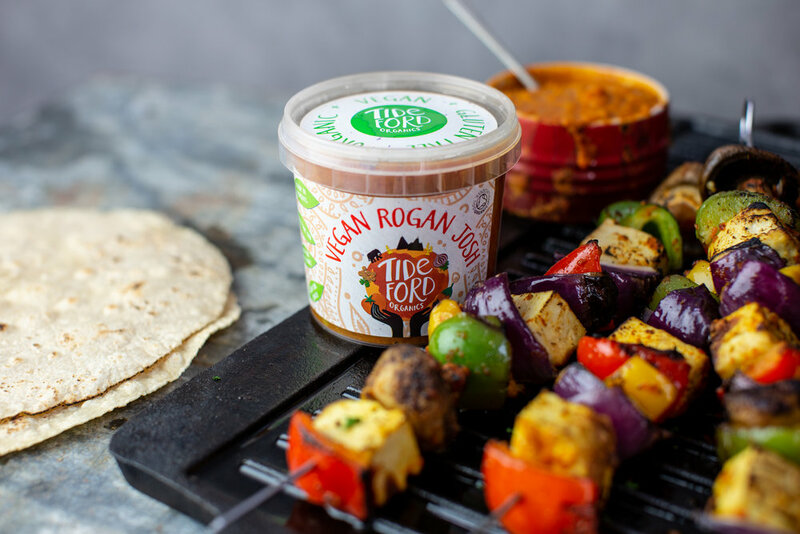 With demand for vegan foods set to continue to grow in 2019 and a need for ingredients and products that make the move to vegan easier, we are looking forward to seeing new Tideford products, more accessibility and increased sales of organic vegan products.